When was the last time a New York area sports franchise won a major professional league championship? For quite a few teams, it's been forever. For others, it just feels that way. Here's a look at how close the 11 NYC-area teams have come to winning their next title. Not unlike their Super Bowl win at the end of the 2007 NFL season, the underdog Giants beat the Patriots, 21-17, at the end of the 2011 season. Ahmad Bradshaw scored the game-winning touchdown with 1:04 left in the game. They just missed the playoffs in 2012 after finishing a game back of the Redskins at 9-7 but have had a losing record each of the past two seasons. Last playoff appearance: 2011 season. The Giants beat the Jets and Cowboys, respectively, in the final two games of the 2011 season to clinch the NFC East, and the rest is history. They haven’t made the playoffs since winning the Super Bowl that year. The Yankees beat the defending champion Phillies in six games to win the World Series at home in their first season in the new Yankee Stadium. The Yankees swept the Twins in the ALDS and beat the Angels in six games in the ALCS. In 2010, the Yankees reached the ALCS and lost in six games to the Texas Rangers. The Yankees won an American League wild card and lost to the Houston Astros in the wild-card round. The Devils went an NHL playoff record 12-1 at home on their Stanley Cup run, and it came down to a Game 7 at home to win it. The Devils had 2-0 and 3-2 leads on the Ducks in the series, but the Ducks managed to win all three games at home. With a goal from unlikely hero Mike Rupp and two from Jeff Friesen, the Devils won Game 7 from the comforts of New Jersey. After beating the Rangers in six games in the conference finals, the Devils lost to the Kings in six games in the Stanley Cup Final. The Devils haven’t made the playoffs since their loss to the Kings in the Cup Final. It was a fight just to get there. The Rangers knocked off the Devils in a wild conference final that featured three double-overtime games. They defeated the Canucks in seven games to win their first Stanley Cup in 54 years. The Rangers made it back to the Stanley Cup Final for the first time since winning it in 1994. After falling into an early 3-0 hole to the Kings, the Rangers managed to squeak out a win at home to avoid the sweep. They lost in double-overtime in Game 5, giving the Kings their second Stanley Cup in three years. The Rangers lost in five games to the Pittsburgh Penguins in the Eastern Conference first-round series. The Mets had Dwight Gooden, Darryl Strawberry, Keith Hernandez, Mookie Wilson and Gary Carter -- and Bill Buckner at first base for Boston in Game 6. The Mets beat the Red Sox in seven games to win the franchise's second World Series title. The Mets reached the World Series in 2015 and lost in five games to the Kansas City Royals. The Mets beat the Dodgers and Cubs to win the team's first NL pennant since 2000. With Billy Smith having an outstanding series in goal, the Islanders swept the Edmonton Oilers to win their fourth consecutive Stanley Cup. Brothers Duane and Brent Sutter helped lead the offense. The Islanders, four-time defending Stanley Cup champions, lost in the finals to the Edmonton Oilers in five games. The Islanders had beaten the Rangers (3-2), Capitals (4-1) and Canadiens (4-2) to win the Wales Conference title and reach the Stanley Cup Finals. The Islanders beat the Florida Panthers in six games to advance out of the first round of the Eastern Conference playoffs for the first time since 1993. They lost in five games to the Tampa Bay Lightning in the second round. Julius Erving led the then-New York Nets of the ABA past the Nuggets in six games in the ABA Finals. For the second straight year, the Nets lost in the NBA Finals. This time it was in six games to the Spurs. In Lionel Hollins’ first year as coach, the Nets were the eighth seed in the Eastern Conference but lost to the Hawks in six games in the first round. With Red Holzman at the helm, Walt Frazier, Willis Reed, Bill Bradley, Dave DeBusschere and company beat the Lakers in five games for the Knicks’ second NBA title in four years. In a lockout shortened season, the Knicks fell in the NBA Finals in five games to the Spurs, who have since won another four titles. After posting 54 wins in the regular season — their most since the 1996-97 season — the Knicks beat the Celtics in six games in the first round of the playoffs before falling to the Pacers in six games in the conference semifinals. The 1968 NFL season ended in a way no other ever had before or has since — with the New York Jets as Super Bowl champions. Joe Namath guaranteed a win over the Baltimore Colts, and the Jets delivered in Super Bowl III with a 16-7 victory on Jan. 12, 1969. The Jets reached the AFC Championship game four times since winning the Super Bowl, losing each time. The closest score was on Jan. 23, 2011, a 24-19 loss to Pittsburgh. Last playoff appearance: 2010 season. Mark Sanchez led the Jets to the AFC Championship Game for the second straight season but lost to the Steelers, 24-19. The Jets beat the Colts in the wild-card round and the Patriots in the divisional round that season. 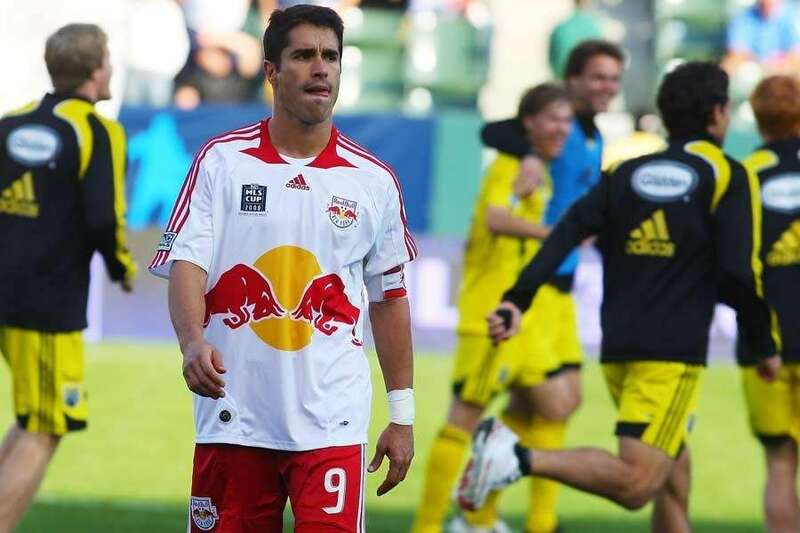 The New York Red Bulls made their first and only appearance in the MLS Cup in 2008 and lost, 3-1, to the Columbus Crew. They had advanced past the Houston Dynamo on total goals in the opening round of the playoffs, then beat Real Salt Lake to reach the MLS final. The Red Bulls reached the Eastern Conference final but lost on aggregate goals to the Columbus Crew, 2-1. The New York Liberty has reached the WNBA Finals four times (1997, 1999, 2000 and 2002). 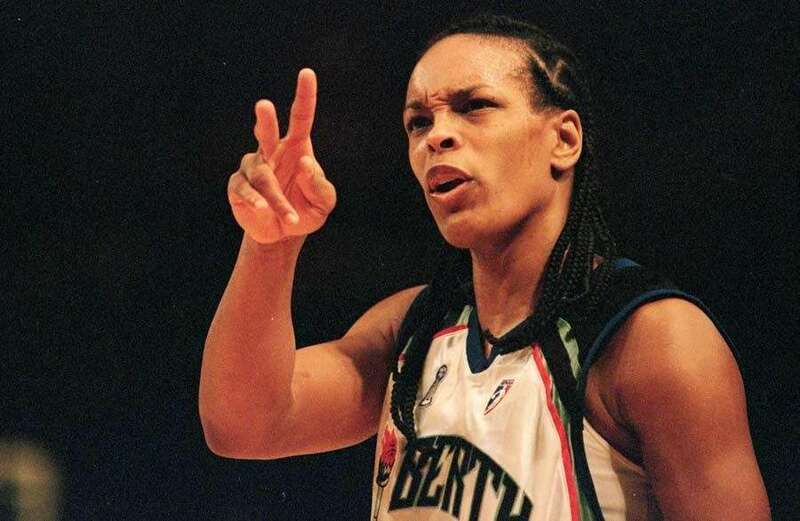 In 1999, the Liberty won its only Finals game, but lost the series, 2-1, to the Houston Comets. The Liberty beat the Washington Mystics in the first-round series then lost in the Eastern Conference finals to the Indiana Fever.